The University of Florida notes that there are more than 375 shark species in existence today. While today's sharks grow large, they do not reach the size of a now extinct shark that was the largest to ever live on Earth. In the ancient world's oceans, a shark known as a Megaladon was the largest creature in the water. Scientists estimate that this extinct species reached a length of about 60 feet and weighed some 77 tons. Megalodons went extinct about two million years ago. To sustain its massive size, Megalodons ate more than one ton of food each day, making it the dominant marine predator of its day. Their diet included whales and large fish. The ancient shark consumed its prey with the help of about 276 teeth. 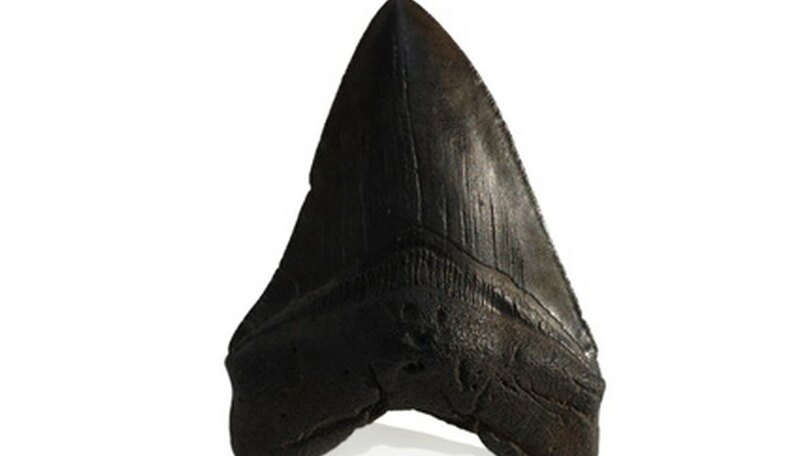 The largest tooth fossil from a Megalodon is 7.25 inches long, according to the University of Florida. Of the shark species existing today, the largest is the whale shark. The largest whale shark measured was about 40 feet long, according to National Geographic. However, the whale shark is only two-thirds the length of the Megalodon and at nearly 21 tons, less than half the weight of the Megalodon. The largest modern-day shark is the whale shark. National Geographic notes on its website that the whale shark measures up to 40 feet in length and weighs 21 tons. It feeds primarily on plankton and small fish and lives in tropical waters. Jayne, A.K.. "How Big Can a Shark Get?" Sciencing, https://sciencing.com/big-can-shark-get-7338669.html. 24 April 2017.